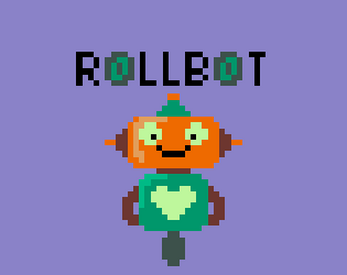 RollBot is a top-down arena shooter game in which you are a good robot who has survived the robot apocalypse event in which all robots lost their legs and were forced to roll on wheels. Manage your energy level as you shoot and destroy enemy robots and collect their energy orbs in this action-packed thriller shooter bonanza! The yellow bar is your ammo as well as your health, and the orange bar is your combo timer. Blow up multiple enemies in a row to increase your combo and your fire rate! Download, unzip, and run the application.